Thanks Congress. Thanks EPA. Thanks global warming junk scientists. Thanks to US lawmakers the labor-intensive compact fluorescent lightbulb production is thriving – in China. Terrific. 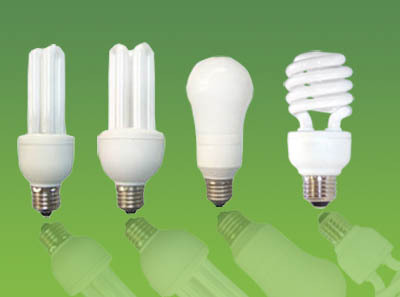 By closing or nationalizing dozens of the producers of rare earth metals — which are used in energy-efficient bulbs and many other green-energy products — China has sent the price of compact fluorescent bulbs soaring in the United States. In the name of fighting pollution, China has sent the price of compact fluorescent light bulbs soaring in the United States. By closing or nationalizing dozens of the producers of rare earth metals — which are used in energy-efficient bulbs and many other green-energy products — China is temporarily shutting down most of the industry and crimping the global supply of the vital resources. China produces nearly 95 percent of the world’s rare earth materials, and it is taking the steps to improve pollution controls in a notoriously toxic mining and processing industry. But the moves also have potential international trade implications and have started yet another round of price increases for rare earths, which are vital for green-energy products including giant wind turbines, hybrid gasoline-electric cars and compact fluorescent bulbs. General Electric, facing complaints in the United States about rising prices for its compact fluorescent bulbs, recently noted in a statement that if the rate of inflation over the last 12 months on the rare earth element europium oxide had been applied to a $2 cup of coffee, that coffee would now cost $24.55. An 11-watt G.E. compact fluorescent bulb — the lighting equivalent of a 40-watt incandescent bulb — was priced on Thursday at $15.88 on Wal-Mart’s Web site for pickup in a Nashville, Ark., store. Wal-Mart, which has made a big push for compact fluorescent bulbs, acknowledged that it needed to raise prices on some brands lately. “Obviously we don’t want to pass along price increases to our customers, but occasionally market conditions require it,” Tara Raddohl, a spokeswoman, said. The Chinese actions on rare earths were a prime topic of conversation at a conference here on Thursday that was organized by Metal-Pages, an industry data firm based in London. Soaring prices are rippling through a long list of industries. “The high cost of rare earths is having a significant chilling effect on wind turbine and electric motor production in spite of offsetting government subsidies for green tech products,” said one of the conference attendees, Michael N. Silver, chairman and chief executive of American Elements, a chemical company based in Los Angeles. It supplies rare earths and other high-tech materials to a wide range of American and foreign businesses. It sure is a good thing we shut down all of those light bulb plants across the US, huh?